What is the AGRIBIODINAMIC mark? The principle of an healthy eating and without use of poisons should be a right for the citizen. Yet we are witnessing a paradoxical situation whereby who manufactures and sells food products called “conventional” which actually go through production processes based on the use of synthetic chemical methods and means, which is very toxic and dangerous poisons, are not required to declare on the label. In contrast to those who decide to undertake a process of production of quality, environmental protection and consumer health, not using no poison and “fertilizers” that defertilizzano the land must pay out of your own pocket checks and inspections in order to certify this process on the label! In the face of all this, a group of farmers, technicians and fans felt compelled to seek out and create a new form of certification that guarantees the user to support the producer in his choice to save natural resources and offer high quality products. Because to have taste and flavour requires a healthy farming method behind. The brand AGRIBIODINAMICA is a quality private label given to agricultural products and processed food, which, thanks to the field care and attention in processing and marketing, offer the best food quality and environmental protection. The implementation of the brand and the product specification is the result of experience gained over the years, in the field of organic and biodynamic farming, by a group of farmers, technicians and professionals who have over twenty years experience in the sector and represent a historical memory at national level and not only. 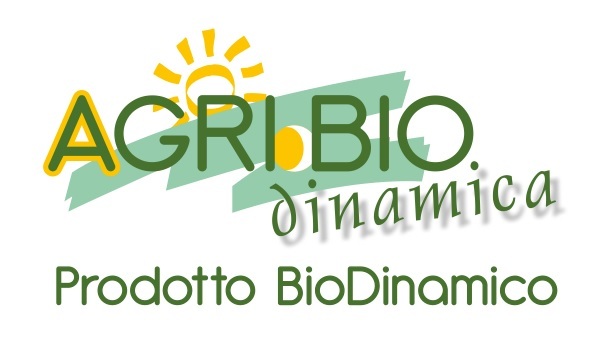 The AGRIBIODINAMICA certification intended not only as a control on product quality but also, at the same time, an action of help and support to companies that decide to create high quality products in compliance with the environmental cycle, offering the consumer a product of excellence, attention to all stages of production, processing and marketing. This is an absolute novelty in front of the present state of poverty and sadness of current certification that all too often rewards the bureaucracy at the expense of quality, and just as often becomes an instrument of customs clearance for industrial products otherwise absolutely anonymous. The hard and difficult work of the farmer who invests time and resources for the cultivation and processing of the product in the name of quality, already has very high costs. For this reason the AgriBioDinamica certification does not want to add more onerous burden on the subjection to the control. The cost of certification for the manufacturer will be kept to a minimum because it will be supported by consumers as prime beneficiaries of the benefits of brand and by private sponsors who wish to invest in helping this project. The certification assumes a new identity, not a harassment and a burden to the manufacturer, but rather a reward and recognition for work at the company that pursues and reaches excellence in their industry. To open the specifications or for having a complete production AgriBioDinamica or to get a quote for certification visit the websites www.agribiodinamica or send us an e-mail to info@agribioworld.com.